When you're looking to book flights or hotels, especially over holiday weekends and in the busy tourist travel seasons, you might notice that some airlines and accommodations have blackout dates when their travel rewards or special discounts and promotions are not applicable to your potential reservation. Blackout dates are the periods of time when the high demand for flights and hotels allow for airlines and hotel companies to raise prices and eliminate their deals because more travelers are flying by necessity rather than choice. Typically, airlines offer these rewards and discounts to entice travelers from competing airlines by promising lower rates, but since all airlines are usually fully booked during these busy travel times, they no longer need to compete for business. Still, some airlines will offer rewards or discounts for flexible travelers who don't need to fly on a certain schedule around holiday weekends and during peak travel seasons. A traveler who needs to fly on Christmas Day and can't wait to fly back after New Years Day, for instance, would have a much harder time finding a cheap flight during these blackout dates than someone who could fly before Christmas or after the new year. The time of year with the most blackout dates in recent years has been the winter holiday season, starting around Thanksgiving and lasting through the week after New Years Day, when many travelers are flying back to see their families and need accommodations along the way, and although there are some deals available in early December, prices continue to increase from Thanksgiving Day through Christmas Eve. Summer is also full of blackout dates, especially around the Fourth of July, Memorial Day, and Labor Day—the three big holidays of the summer—and while booking flights and hotels far in advance may reduce the costs associated with traveling during this time, the best way to save money is by traveling during off-peak summer days—weekends will be more expensive than weekends, even in the summer. 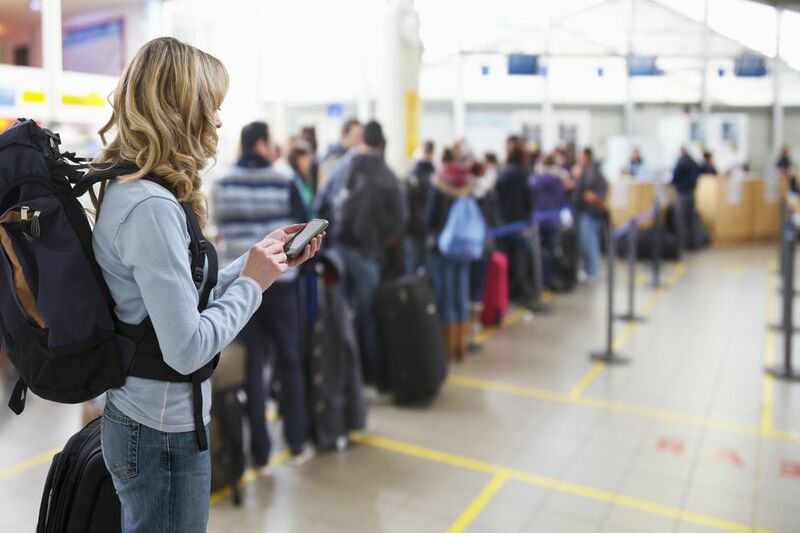 Note that blackout dates can also apply to other aspects of travel, such as baggage or cargo restrictions—so be sure to check with your airline if you're planning on traveling on the busiest days of the year. During blackout dates, some airlines will reduce the amount of checked bags you can bring, force travelers to check their carry-ons at the gate, or even disallow carrying on a second carry-on bag to conserve space. Blackout dates happen because airline tickets and hotel room reservations are scarce on the busiest travel dates of the year, but that doesn't mean there isn't a way around the hiked prices and limited availability. The number one tip for traveling cheaper is to be flexible with your travel dates—if you're able to afford flying on a Tuesday or Thursday, these flights are in much lower demand than other days of the week, especially weekends, and will likely save you anywhere from 50 to 100 dollars per flight or hotel booking. Another great way to save on blackout dates is to get a credit card or join an airline's rewards program that guarantees "No Blackout Dates." However, you should keep in mind that just because these special rewards programs promise not to have higher prices on no-travel days, that doesn't mean you'll be able to find a ticket at any point in time—it just means if you can find a ticket, you won't be price-gouged for it!